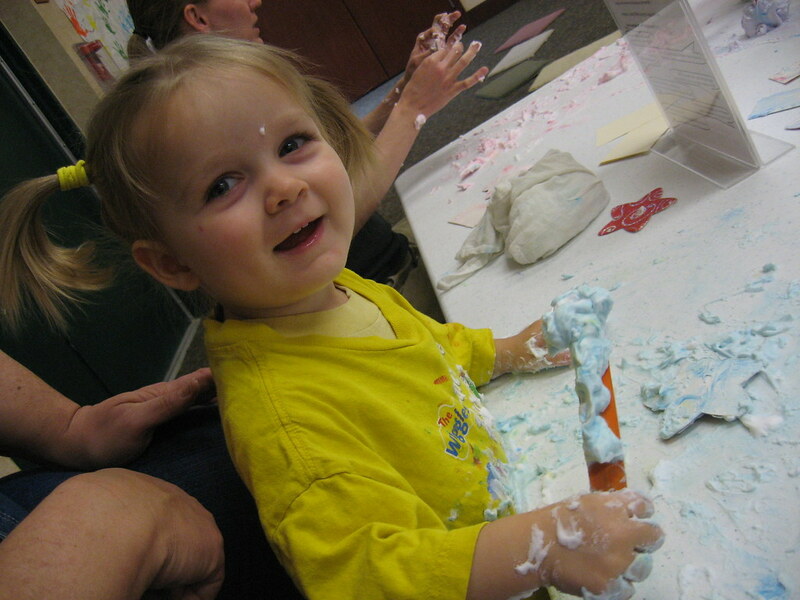 Shaving cream painting is clean, messy fun! 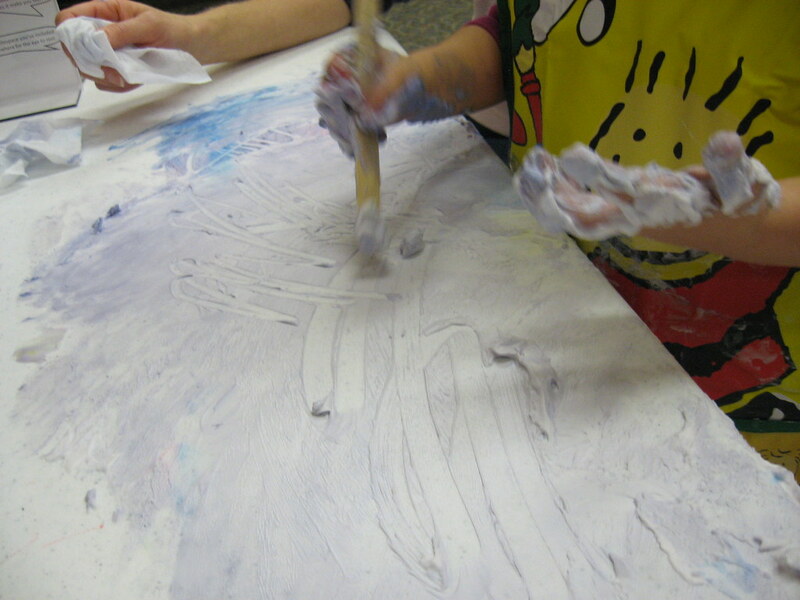 Today we painted with shaving cream. This one is quite messy, but because it's soap, it's also oddly clean and it smells great! I sprayed a baseball-sized glob of shaving cream in front of each kid and dropped three drops of food coloring each glob. Kids could either reach in with their hands and mix it all up, or use the craft stick to stir it. 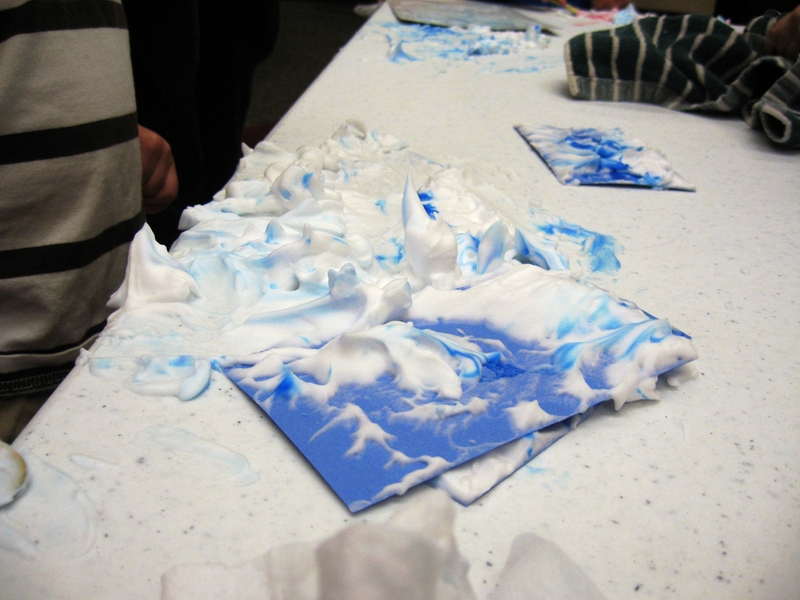 Parents were invited to help kids take "prints" of the swirls if they wanted to, by pressing a piece of paper into the swirled shaving cream, then squeegeeing the shaving cream off the paper, leaving behind the dye in swirls. 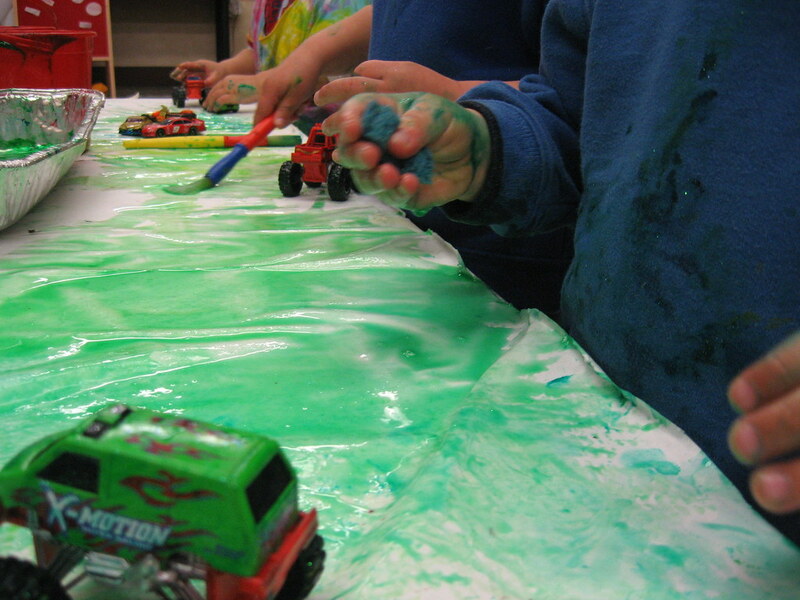 Not many prints were made because the kids were having so much fun just feeling the squishy, creamy texture and being allowed to get super messy. 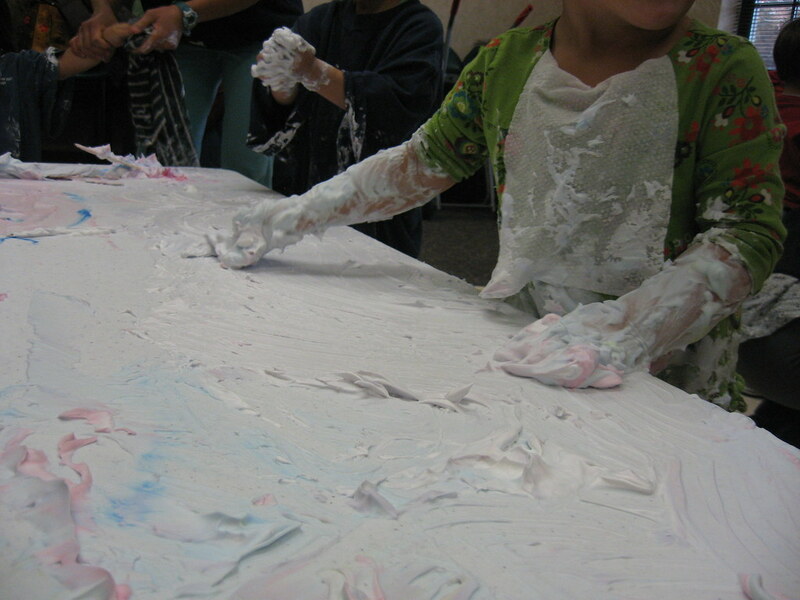 There were a few kids who were completely uninterested in getting messy and they only played for a little bit before deciding they were done. others got so into it that they had to go home with no shirt on under their coat! Hindsight Tip: hand out paper towels or warm, damp terry cloth towels instead of wet wipes with this one--the wet wipes just make MORE soapy mess and get used up by the handfuls!